Merry Christmas, Groove-ophiles, and Happy Whatever-Holiday-You-Celebrate! This week and next, Ol' Groove's gonna get even more nostalgic than usual (is that even possible? Stay tuned!) and look back at comics I actually got off the spinner rack during the Yuletide Season (meaning anything between Thanksgiving and New Years' Day is fair game). Most of them are at least sentimental faves, of course, because besides cool covers, great stories, and awesome art, they're part of the happy memories of Christmas shopping, trips to visit family, Christmas break, and just all-around wintertime fun! My plan is to share Groovy Christmases Past this week and next, a different year each day. Yeah, I start off kinda cheating because First and Second Grader Li'l Groove didn't get a whole lotta comics off the racks in December (though in second grade I had discovered those coverless, cellophane-wrapped comic packs of which I bought tons--but I'm not counting those). You'll see my buying habits fluctuate a bit and then BOOM! I must've spent every penny I had on 'em during high school. What does that say about Teen Groove? Nothin' but that I was a comicbook fanatic, baby! Anywho, here's hoping you enjoy these trips down memory lane as much as Ol' Groove does! 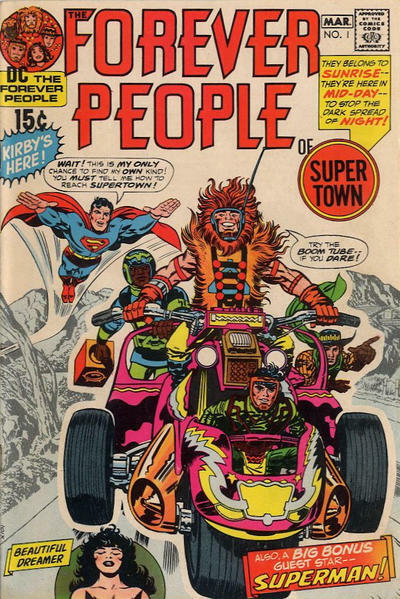 Li'l Groove thought Vigilante was the coolest thing ever: a cowboy on a motorcycle! This was my introduction to the character, natch. 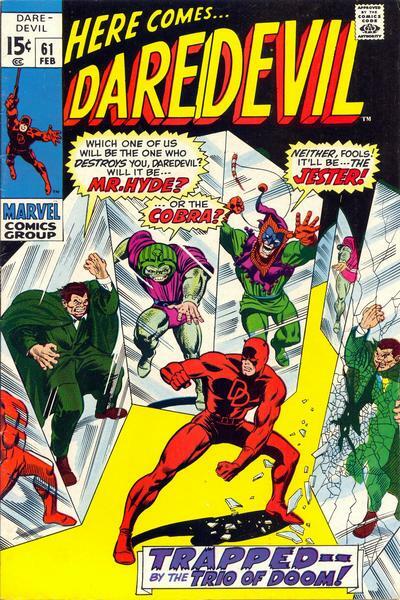 Marie Severin and Sam Grainger came across with one of the coolest comicbook covers ever, right here. 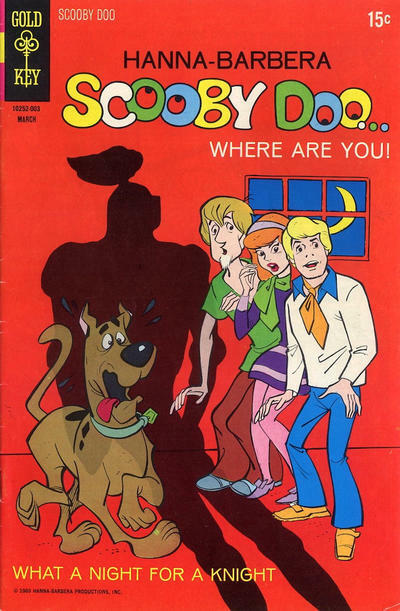 They could have gone the "floating head" route, but this is sooooo much more interesting! One hero vs. a bunch of baddies! Here's my 15 cents! The coolest new Saturday morning cartoon got it's own comic and Li'l Groove had to have it! 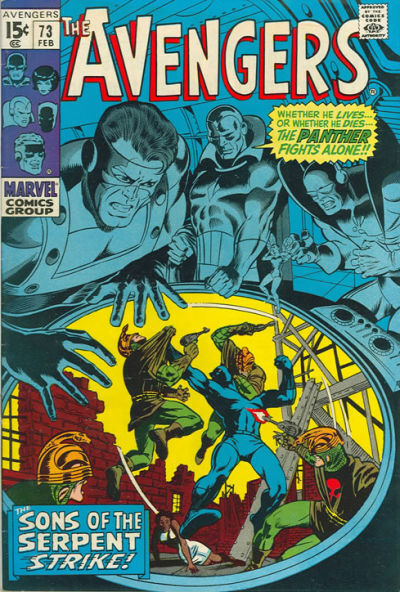 My introduction to Jack Kirby's Fourth World! 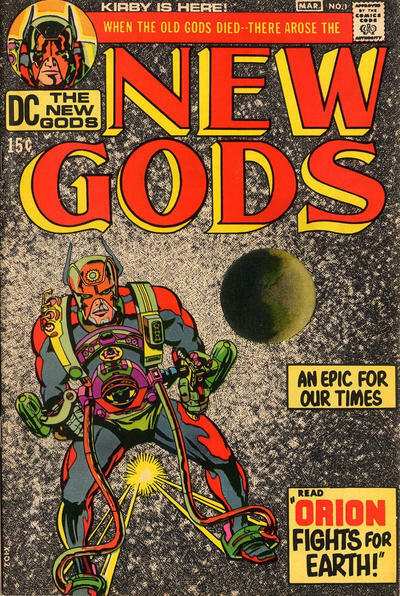 Is it ironic that I got comics about "new gods" on the way home from Wednesday night Christmas play practice? Two separate practices? 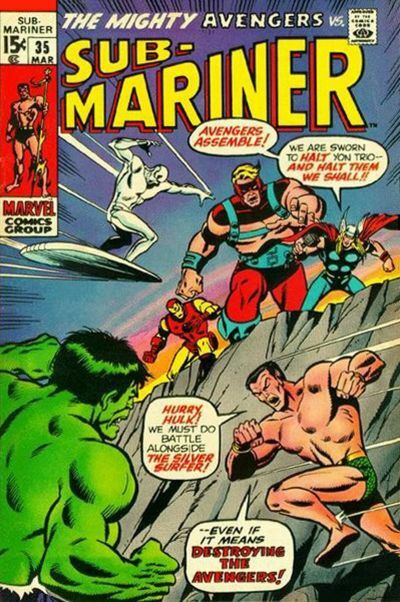 Li'l Groove's introduction to Marvel crossovers! What a great way to immerse oneself in and learn about the Marvel Universe! 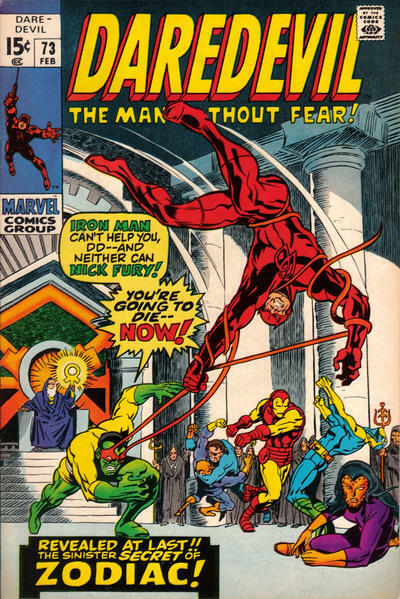 Nick Fury could bring the very different worlds of Daredevil and Iron Man together--then the Avengers could battle a trio of mis-understood heroes who'd soon become The Defenders! 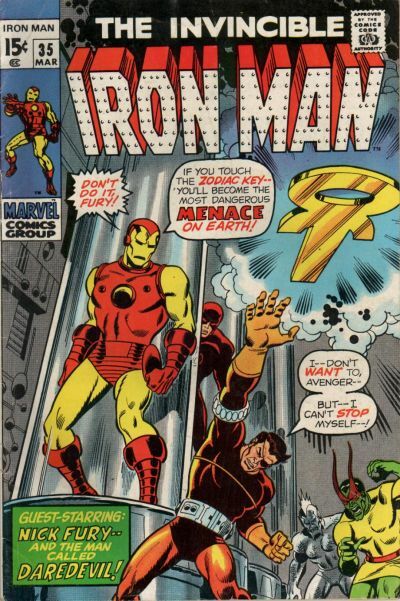 And then there was those Sal Buscema covers...! Be back tomorrow as we truck on back to December 1971! Many thanks to both Grand Comics Database and Mike's Amazing World of Comics Newsstand for making an undertaking like this so much easier! I don't know what Ol' Groove'd do without those two sites! I'm shaking with anticipation for tomorrow which is the year I started buying comics regularly! Thanks Santa baby! What a great selection, and what a cool idea for a feature! 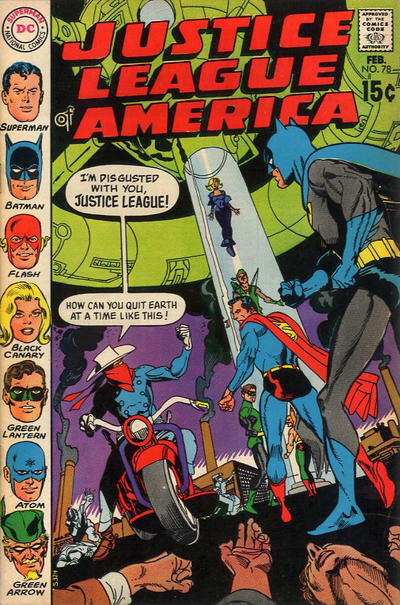 I love that JLA issue. It's a real classic, and kid you was right. Vigilante is awesome! What a great collection of covers! Thanks! Great comics. And a more innocent time time in my life.